A new report by NASA, the National Aeronautics and Space Administration, suggests that rising sea levels resulting from global climate change may present a greater threat to the world’s cities that previously thought. According to the report, rising global ocean levels resulting from thermal expansion and the melting of land-based ice could displace millions of people globally. While several US states—including Florida and Wisconsin—have been prohibited from discussing or even using the phrase “climate change,” the Pentagon earlier this year described climate change as an “urgent and growing threat” to national security. Multiple analyses by the Department of Defense have concluded that global climate change could aggravate existing global tensions and exacerbate domestic political instability in countries around the world. What do you think? Should climate change be framed as a national security issue? Why? What are the implications—both positive and negative—of thinking about climate change as a security rather than as strictly an environmental issue? In testimony before the Senate’s Armed Services Committee last week, General Joseph Dunford, President Obama’s nominee to become the next Chair of the Joint Chiefs of Staff and the primary military adviser to the president, asserted that Russia poses an existential threat to the United States. Citing Russia’s close ties to Iran, General Dunford asserted that Russia continues to push for elimination of Western sanctions on Iran, a move that would permit the open sale of Iranian oil on international markets. Such a development could generate billions in revenue for the Iranian government, fueling acquisition of advanced Russian missile systems that could make potential airstrikes against Iranian nuclear facilities more challenging. The conflicting statements highlight a divide inside the Obama White House as to the nature of US-Russian relations in the context of tensions in Ukraine, Iran, North Korea, Syria, and elsewhere. While the United States and Russia clearly have competing foreign policy objectives, do you think that Russia poses an “existential threat” to the United States? What do you think are the primary security challenges facing the United States today? And what are the implications of apparent disagreements in the assessment of Russia (and potentially other national security challenges) inside the White House for US foreign policy? A federal appeals court in New York today determined that the mass collection of metadata from cellphone calls by the National Security Agency was illegal because it “exceeds the scope of what Congress had authorized” under the Patriot Act. The program, originally publicized by Edward Snowden’s leaks in 2013, had been the focus of widespread criticism and several lawsuits. This suit, originally filed by the American Civil Liberties Union, had been dismissed by a lower court. Today’s decision orders the lower court to re-hear the case. Separate appeals challenging the constitutionality of the program are being heard by other courts. Split decisions by any of the courts could result in the issue being taken up by the US Supreme Court in its next session. What is at issue in the cases is the scope of privacy in an electronic age and the proper balance between security and liberty in a time of ongoing threat. What do you think? Was the appellate decision the correct one? Is the NSA program collecting cellphone metadata without a warrant be illegal? Or was the lower court decision that the collection of such data under the Patriot Act was a reasonable effort to protect national security correct? What is the proper balance between security and privacy? And who should decide? The Pentagon is again being criticized for wasteful spending. There’s some irony in this accusation, as battles between Congress and the Pentagon have frequently resulted in billions of dollars in spending on defense programs supported by Congress but opposed by the Pentagon. But a story in the LA Times this week, the Pentagon has spent more than $10 billion to develop a missile defense system capable of defending the United States from ballistic missile attack. Despite massive spending, no viable system has yet been developed. The Pentagon maintains that the task given the group is enormous—akin to shooting a bullet with another bullet—and that the spending so far provided valuable research advances that will someday lead to a viable system. At the same time, critics of the missile defense program—and of much of the Congressional authorizations for Pentagon research—focus too heavily on outdated threats. They argue that the most significant threats to national security come from individual terrorist cells sneaking weapons into the United States or threatening our allies, not from more traditional nuclear or conventional threats from countries like Russia or North Korea. Consequently, spending they argue should shift to reflect the new global reality. What do you think? In an era of declining defense spending, does research on missile defense systems make sense? How should the United States prioritize its defense spending? And what threats do you think the United States needs to address most immediately? 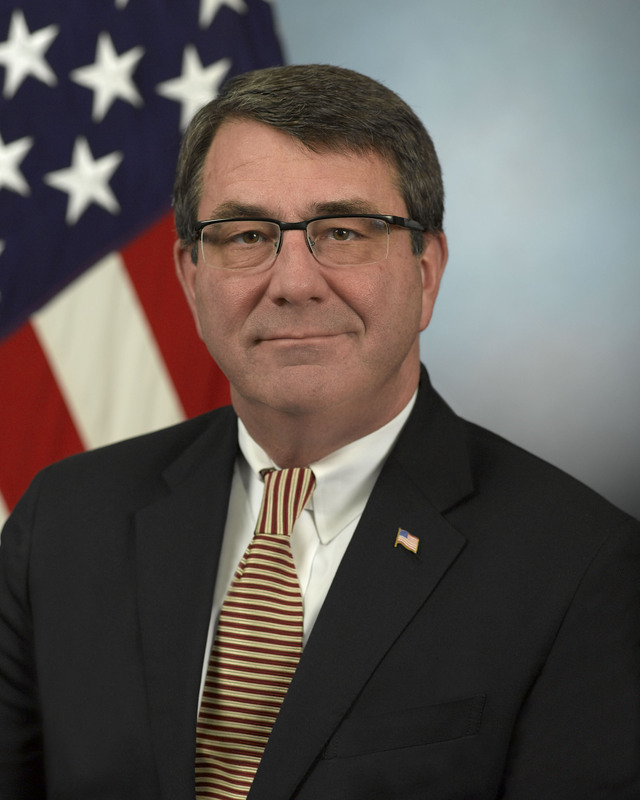 Secretary of Defense nominee Ashton Carter. Carter has already testified before Congress that the United States faces “very real dangers,” particularly from “malignant and savage terrorism” as well as security threats in Afghanistan, parts of Europe and Asia, and in cyberspace. He boasts an extensive record of civil service, including a stint as deputy defense secretary from 2011 to 2013, and as assistant secretary of defense for international security policy under the Clinton Administration. And while he is seen as an effective manager, Carter lacks military service experience. If confirmed, we would be the first Secretary of Defense not to have served in the military or Congress since 1981. What do you think? Will Ashton Carter make an effective Secretary of Defense? Should the Secretary of Defense have military experience? Why? Do you think that Carter will be more effective in addressing ISIS and the other security threats faced by the United States than Hegel was? Why? Of all agencies of the US government, perhaps the US military has exhibited the highest level of concern over the potential impact of climate change on its operations. The Quadrennial Defense Review (QDR), issued by the Pentagon in March, described climate change as a “threat multiplier” that will alter global defense priorities and policies into the future. Climate change, the report warned, will force the Pentagon to rethink both its mission and its operations, as problems like delivering humanitarian aid will be exacerbated by climate change. But yesterday House Republicans approved an amendment to a National Defense Authorization Act that would prohibit the Pentagon from using resources to assess the impact of climate change.